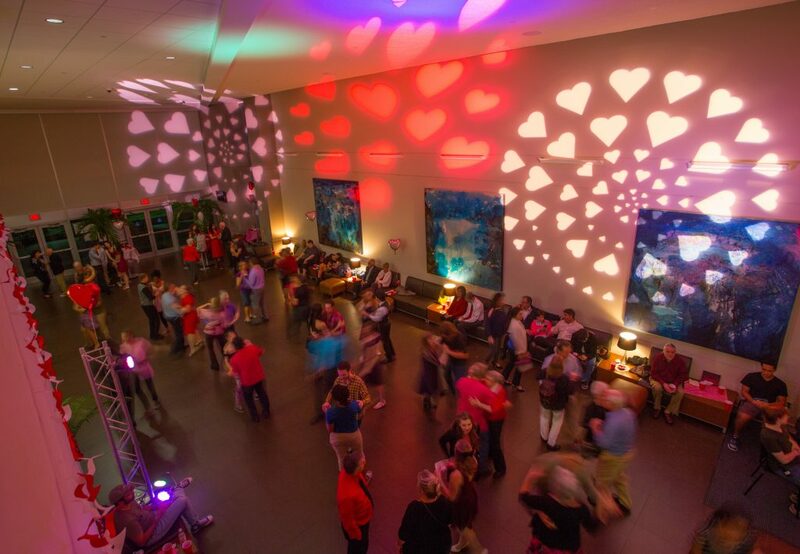 February 1, 2019 – Sweethearts can enjoy a romantic evening and friends can have a night of fun at the annual Valentine’s Day Swing Dance Thursday, Feb. 14, 2019, in the lobby of the Santa Fe College Fine Arts Hall. The event will open with a swing dance lesson taught by an experienced couple from 6:15-7:15 p.m. Beginning at 7:30 p.m., live music will be provided by the Santa Fe College Big Band directed by Dr. Steve Bingham, Ph.D., with singers from Lynn Sandefur’s voice classes. Finger foods and nonalcoholic beverages are included in the admission price. Doors open at 6 p.m. Admission is $10 per person or $20 per couple. Tickets are available at the door or online at sfcollege.edu/visitors-friends/tickets. Under Bingham’s direction, the Santa Fe College Big Band has been honored with an invitation to perform at the International Jazz Festival in Montreux, Switzerland, and has performed at Carnegie Hall, Epcot, Florida’s Lakeside Jazz Festival and CityWalk Universal Studios. The event is organized by the Santa Fe College Music Department, a unit of the Department of Fine Arts and Entertainment Technology, and sponsored by the SF Music Department. For more information about the event or the Santa Fe College bands, call Bingham at 352-281-4035. For ticket information, call the Fine Arts Hall Box Office at 352-395-4181.